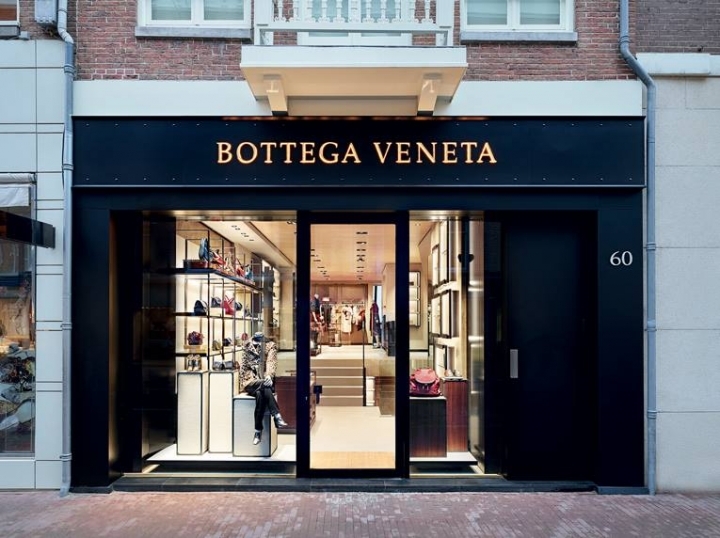 Italian luxury house of Bottega Veneta has recently opened in Amsterdam its first store in the Netherlands. 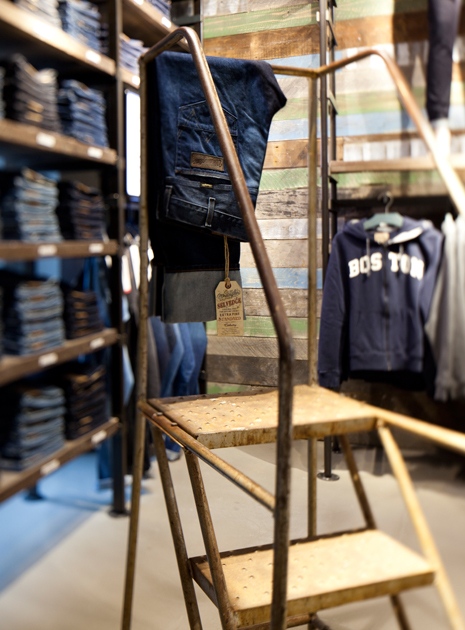 Located on the prestigious P.C. 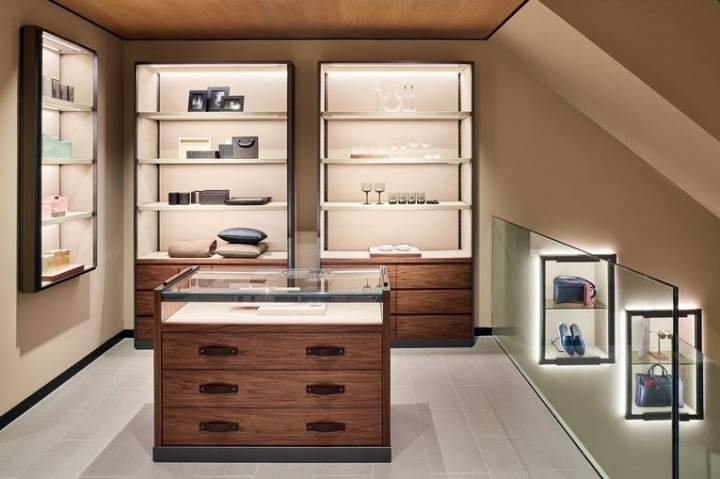 Hooftstraat, the new Bottega Veneta store covers a surface of 140 sqm spread over a ground floor, mezzanine, and basement section. 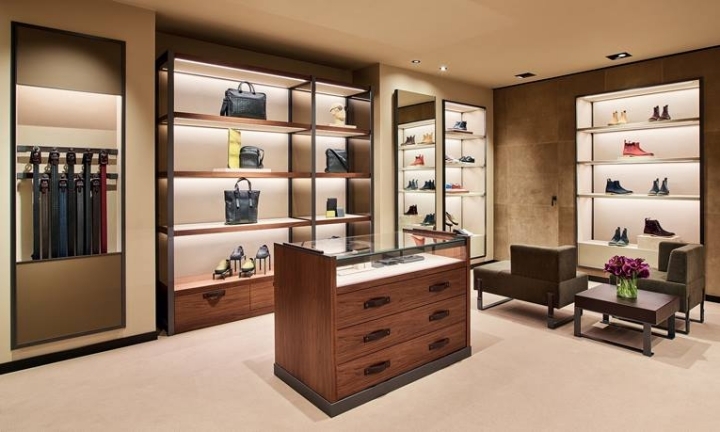 The store interior follows the sleek design codes as laid down by Bottega Veneta’s Creative Director Tomas Maier, featuring furnishings and fixtures as meticulously crafted as the merchandise on offer. 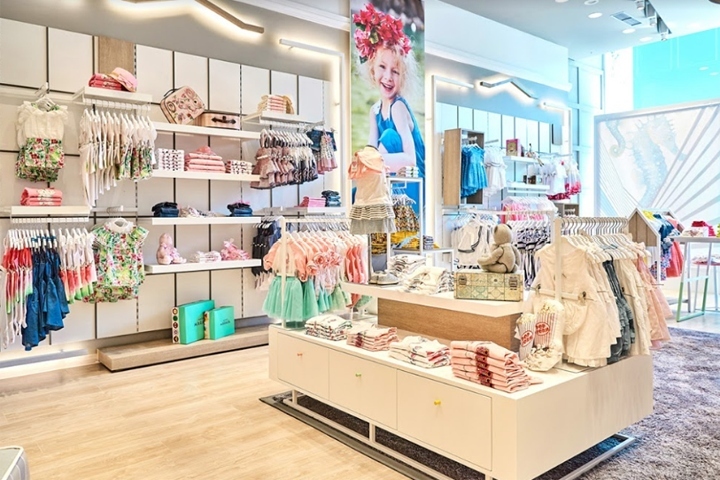 ultrasuede-clad walls are paired with a ceiling of subtly ridged timber, and the premises are dotted with a number of custom-made pieces that, such as cabinets, shelving and seating. 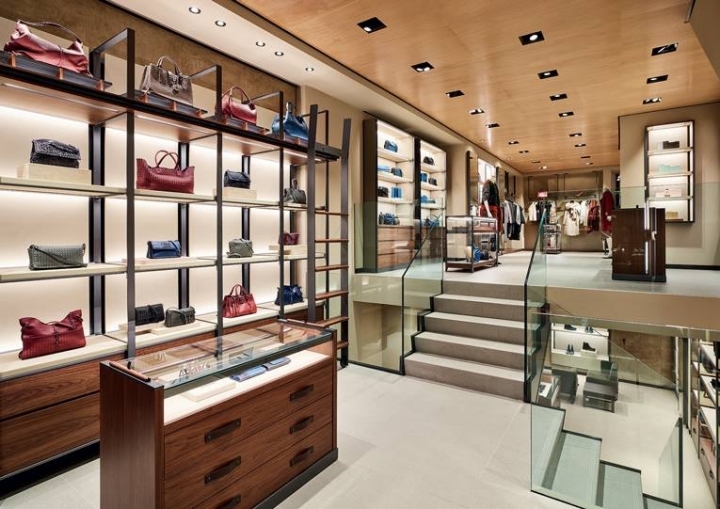 The new Bottega Veneta store features women’s and men’s apparel, bags, shoes, small leather goods and eyewear.